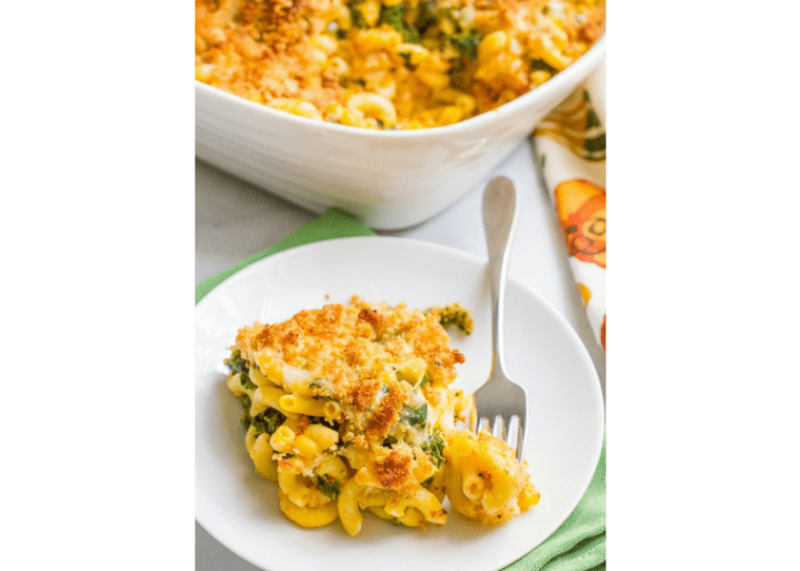 This is a great way to incorporate vegetables into everyone’s favourite comfort food. Preheat oven to 350 degrees with oven racks placed in the upper and lower third of the oven. Butter a 14-by-10-by-3-inch baking dish with 1 tablespoon room-temperature butter; set aside. Divide squashes between two rimmed baking sheets; drizzle with oil. Toss squashes until evenly coated. Rub the cut sides and the cavities of the squashes with the remaining tablespoon room-temperature butter, and season with salt and pepper. Place cut sides down, and bake until squashes are very soft, about 45 minutes. Remove from oven and set aside to cool. Do not turn off oven. When the squashes are cool enough to handle, use a large spoon to scoop flesh into the bowl of a food processor; discard skins. Add cream and milk; puree until smooth. Add nutmeg, and season with salt and pepper. Process until well combined. Transfer mixture to a large bowl; set aside. Bring a large covered pot of water to a boil; add salt. Add pasta, cover, and return to a boil. Uncover, and cook according to package instructions until al dente. Drain and add to bowl with squash mixture along with parmesan cheese and the mascarpone cheese. Stir until well combined. Transfer mixture to prepared baking dish. Using a tablespoon, dollop ricotta cheese on top of the pasta mixture. Place the breadcrumbs, amaretto crumbs, and browned butter into a small bowl; stir to combine. Sprinkle mixture evenly over the surface of the pasta mixture. Bake until golden brown and heated through, about 30 minutes.